In multicellular organisms, including humans, most DNA is coiled up within the cell's nucleus. A small part, however, is tucked away within the mitochondria— organelles that produce energy and regulate many metabolic processes within the cell. 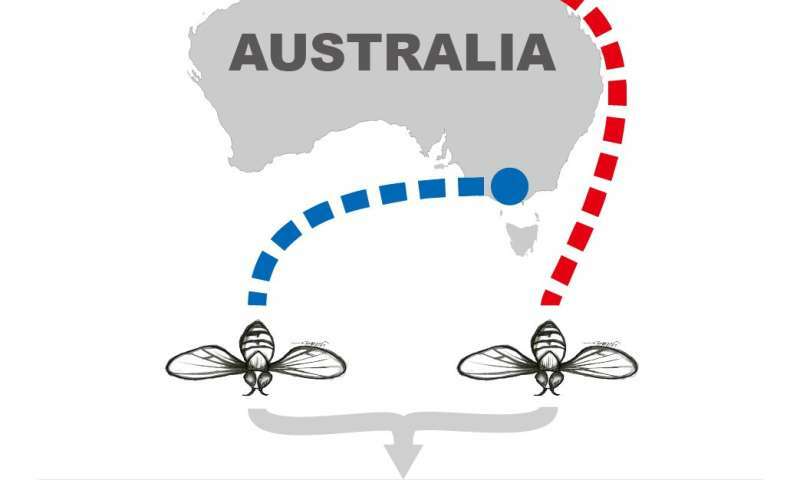 Dr. Lajbner and his colleagues studied two naturally occurring mtDNA variants that are carried by fruit flies inhabiting the east coast of Australia. One of these variants is more common in the sub-tropical, northern part of the country, where temperatures run warm, and the other is more common in the temperate, southern part, which tends to be colder. 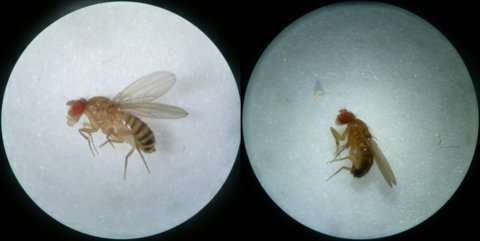 The researchers collected flies from the two sites and then interbred them to get a series of populations with equally mixed genes. They then divided each mixed population into four subpopulations. Each of the four subpopulations was maintained at different temperatures. The temperature in two of the subpopulations was kept at constants of 19ºC and 25ºC respectively. The temperature in the other two subpopulations fluctuated to simulate the thermal conditions of the two sites from where the flies were collected. After three months, the researchers sequenced the mtDNA of fruit flies from all these subpopulations.